Some times there is the need to reset bios password, in order to be able to enter the BIOS and modifying its settings (e.g. to change the boot order). This BIOS Reset procedure on a desktop computer is a relatively easy process, because in most cases all you need to do is to remove the power cord and the CMOS/BIOS battery for a few minutes or to short the CLEAR CMOS jumper on the motherboard (if exists). In the other hand if you own a Laptop, the procedure to reset the BIOS/CMOS setup password, is more complicated especially if the CMOS battery is not easy accessible. This tutorial lists all the available ways to remove/clear the BIOS/CMOS password on a HP Probook, Elite or Pavilion Laptop. How to Reset BIOS Password on HP Laptop. Method 1. Remove the CMOS/Password battery. Method 2. Reset BIOS Password by using a Master Password. Method 3. 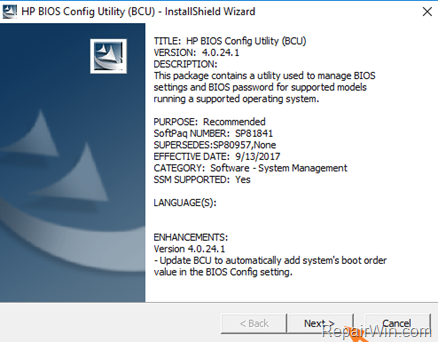 Reset CMOS Password by using the BIOS Configuration Utility from HP. Method 4. Clear BIOS Password with HP Probook/Elitebook BIOS Password Reset Utility. Method 5. Remove HP BIOS/CMOS Password by Updating the BIOS. Other methods to Remove BIOS Password on HP Laptops. 1. 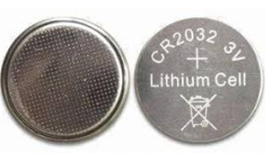 Find out he location of the CMOS/Battery, by performing a simple search on the web about how to replace the CMOS battery on your laptop, computer or motherboard model. 2. Once you find that information, power down and remove the power cord from your computer. 3. Follow the instructions you found to open the laptop chassis. 4. 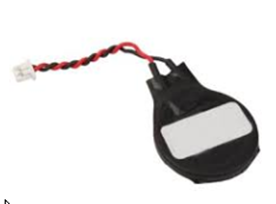 Remove or disconnect the CMOS battery* for 6-10 minutes to erase the CMOS settings and clear CMOS password. 5. Reconnect (or put back in its place) the CMOS battery and then close the chassis. 6. Power on your computer and enter BIOS setup. 1. Power on you Laptop and press the corresponding function key to enter into BIOS/CMOS Setup. 2. Type three (3) times an incorrect password. 3. You will receive a "System Disabled" message and a digit code. 4. From another working computer, navigate to Clear Bios Passwords page. 5. Type the digit code from the "System Disabled" message and click Get Password. 6. Restart the locked computer and type the suggested password(s) from the Clear Bios Passwords site. 1. Download the HP BIOS Configuration Utility. 2. Install the Bios Configuration Utility on your system. * Note: Commonly the BCU is installed at "C:\Program Files (x86)\HP\BIOS Configuration Utility". 3. After installation open Command Prompt as administrator. b. Open Command Prompt as Administrator. c. Navigate to the BCU location "C:\Program Files (x86)\Hewlett-Packard\SSM", from the command prompt window. * Note: If you want, replace the letters pwd in quotes with a desired password. e. BCU should respond, “Successfully Modified the Setup Password.”. f. Reboot your computer and enter BIOS Setup with the password you given. 1. 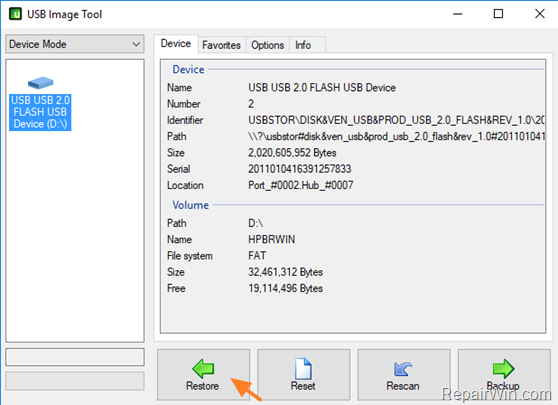 Download and extract the HP Bios Reset Utility (HPBR.RAR). 2. Insert an EMPTY USB disk. 3. From the extracted files, locate and double click to run the USB Image Tool. 4. 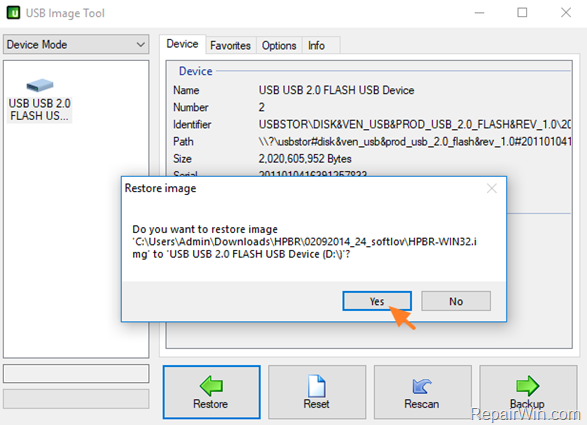 Select the USB drive on the left pane and then click Restore. 5. 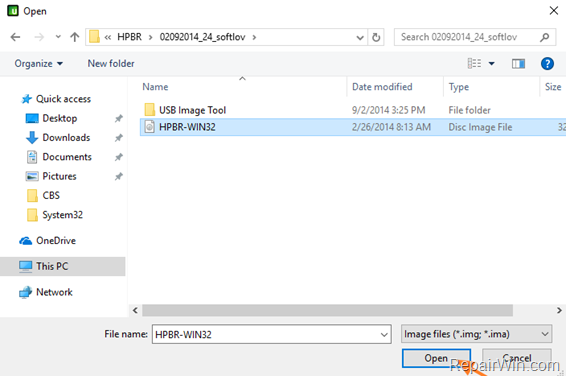 From the extracted HPBR folder, find and select the "HPBR-WIN32" file and then click Open. 6. Click Yes to restore image. 7. Reboot your computer and boot from the USB drive. 8. At command prompt, type DOS and press Enter. 9. Then press 1 for FIRST RUN. 2. If your laptop model is unsupported (not listed) then after giving the "DOS" command, type 5 to run SHOTGUN (to try all models). To reset the BIOS password by updating the BIOS on your HP notebook, follow the instructions on this article. (Be careful, flashing the bios on your machine is risky). 1. Replace the BIOS CHIP. 2. Try to find a solution on HP Support forum. Please leave a comment in the comment section below or even better: like and share this blog post in the social networks to help spread the word about this solution. « FIX Failed to enumerate objects in the container. Access is denied (Solved)	» FIX: Windows 10 1803 Update issue on Hybrid laptops with discrete GPU. I have a question that may help me solve a problem that I have with my Folio 1040 G2. I had a motherboard shot circuit and the network and sound stopped working. I bought a motherboard in the internet that works perfectly with windows 10, but has a problem, its bios is locked and I cannot update it. I think that the solution would be to ‘transplant’ the unlocked Bios from the ‘old’ motherboard to the ‘new’ motherboard. Do you think that will it work? @elilama: Unfortunately I don't know. Maybe yes, but you have to do that with great care. Why wouldnt you just remove the cmos battery if you have access to the motherboard? Bam no more password. Method 4 not good I tested on the elitebook 8440P and Probook 6440B worked fine both but one problem is the computer does not charge the battery anymore …. it's plugged and charging but the battery will never be charged … thank you if you can fix it too otherwise works fine with unlocking. Hakim: Unfortunately I don't know other way to resolve your problem. Since you're on a page to remove the BIOS password then the you won't be able to boot from any port except what's in place one or the first hard drive since boot options are locked by the BIOS password. Try removing all hard drives to bypass it. Burn said software with the instructions above if that's the software you're speaking of. Doing that will put the next in the boot order to go. If you are trying to burn other software use a small program called Rufus. I tried all methods on HP 450 G1's and they either didn't work or I get a message stating "password is set but no file could be found." I used it on other HP models and some work. no method worked on probook 6570b. method 4 wont work because bios is locked to boot from hard disc only. You can bypass that by putting a hardrive into the drive slot with the files already loaded onto it. I want thank you all so much as I already solved remove my BIOS password of HP 6460b model laptop with using application HPBR utility (method 4 ). It's easy and quick method. Consequently my product model, serial number became removed as well. Previously I cannot access my BIOS as I forgot my password. Tks a lot friends. I want to donate for this but still trying to open the paypal, hopefully soon send my donation. worked like a charm using a master bios password….thanks so much. This ends my 12 hours of trying to bypass and remove the password..